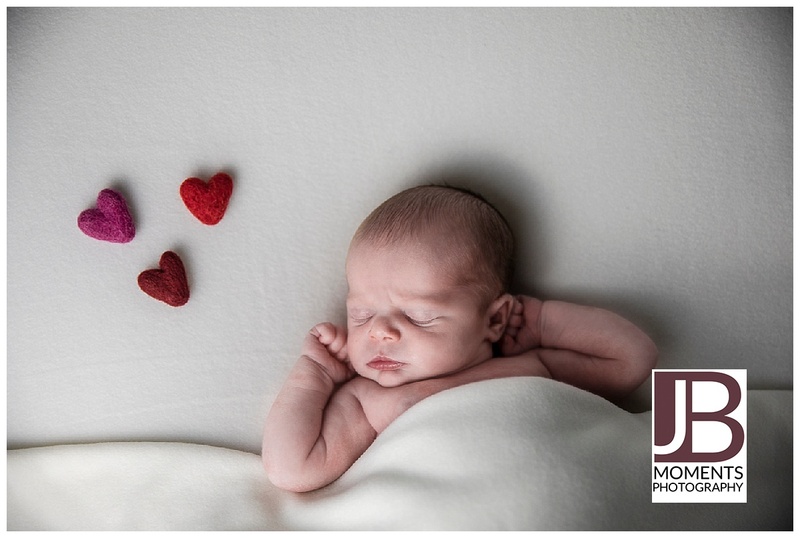 Don’t get me wrong I love all the squishy newborn babies that I get to snuggle in my studio but after a run of baby boys, it was lovely to meet 11 days new Pippa. 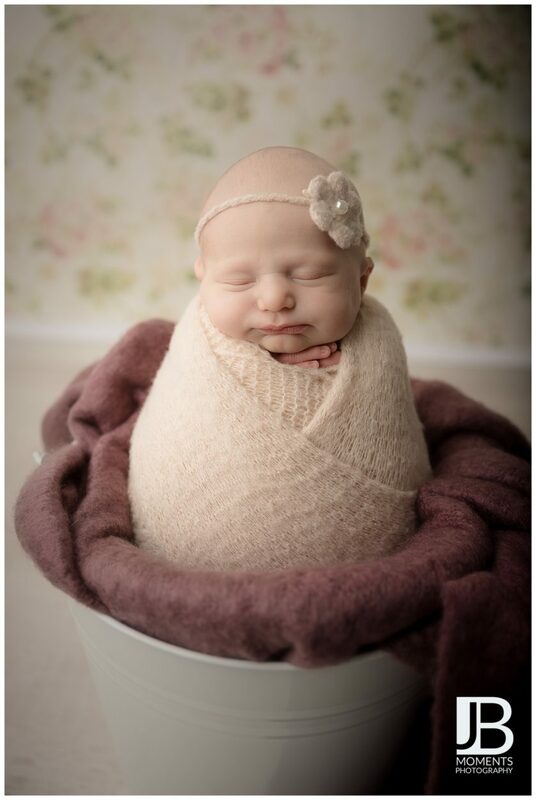 At 6 pounds 8 ounces she was a small but perfectly formed bundle of gorgeousness. Time to break out the headbands! 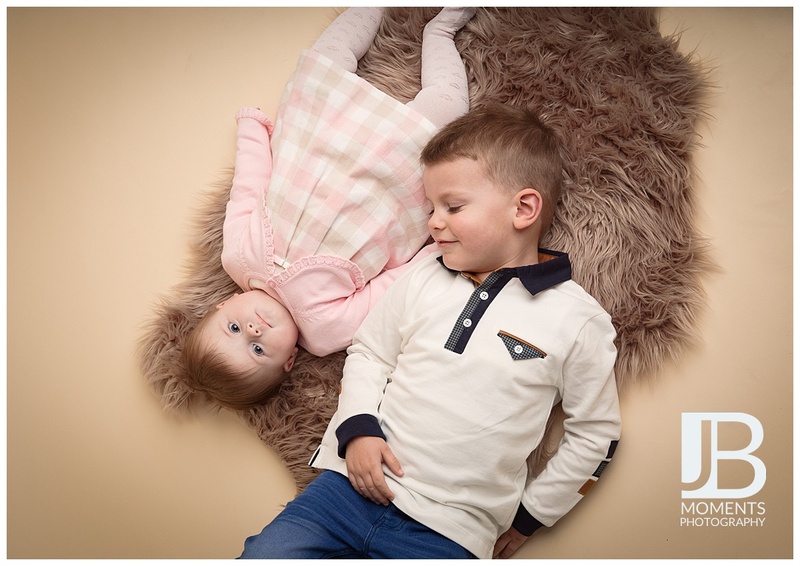 When chatting with mum as she booked the session she mentioned that she wanted some sibling shots with Pippa’s big sister Hollie who was two. Not a problem. 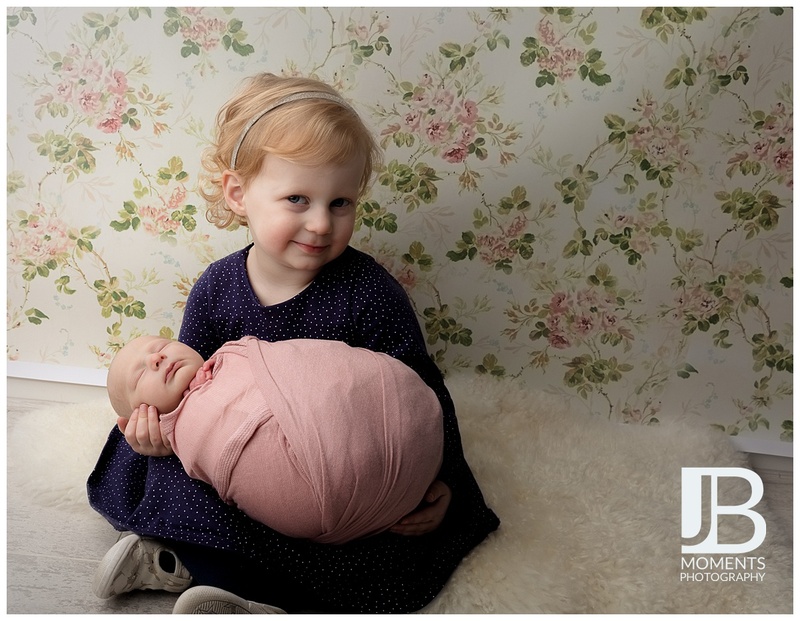 Although two-year-olds are the most unpredictable in my experience so I had baby’s neck fully supported underneath the swaddling and mum close by before I even attempted the shot. In this instance, I needn’t have worried as big sister was amazing with her baby sister. But always better to be safe than sorry! After posing like a champ Hollie went off with Daddy for a babycino like the big grown up little lady she is. 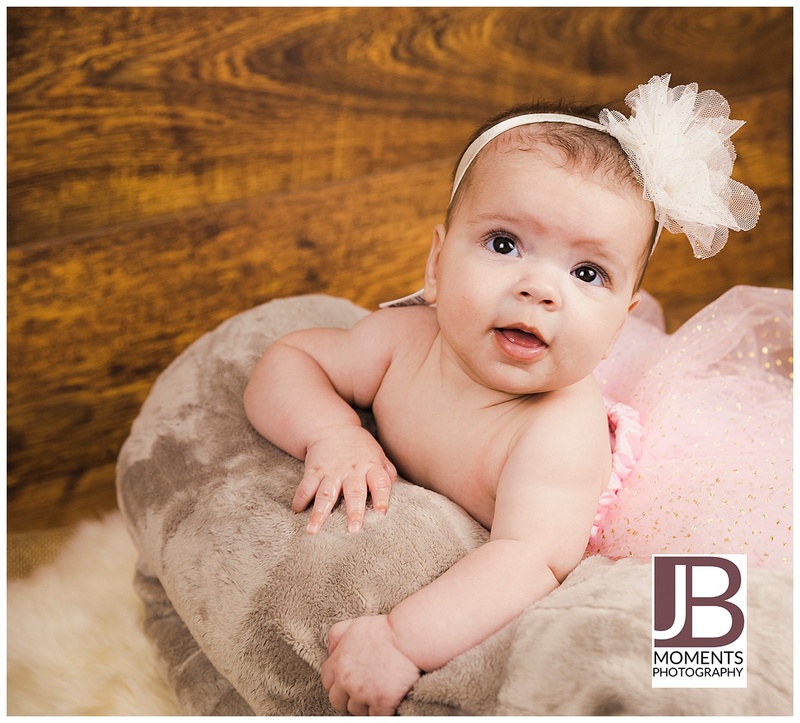 I have lots of wraps, outfits and hats for my clients to choose from but I always love it when they bring in something special to them. 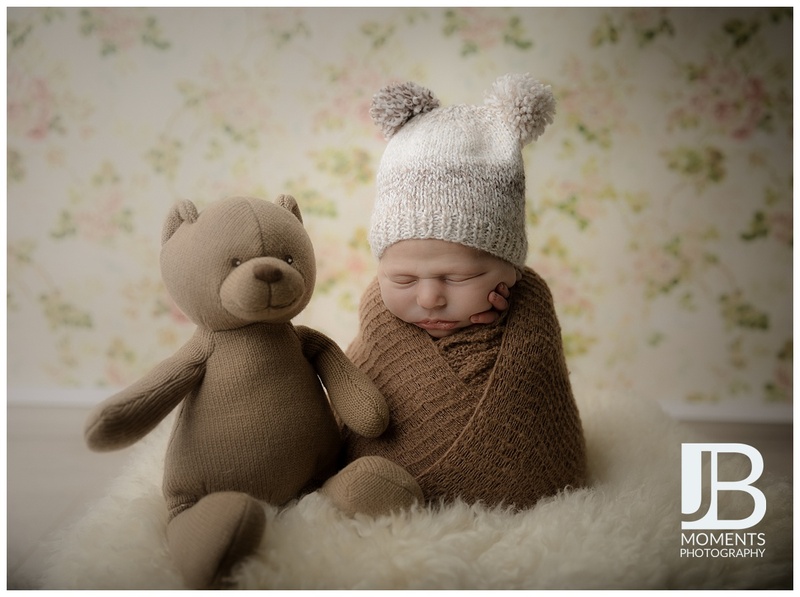 In this case, it was a knitted hat that had been Hollie’s when she was born. Bear with me little one! If I get a new prop I’ve gotta use it and mum was up for it too. Pippa was soooo cosy and comfy all swaddled up she was very content. All to soon my time with Pippa was up. One more snuggle and kiss of those gorgeous cheeks. Then I had to give her back to her family and get ready for the next little bundle of joy. Cake Smashes – A piece of cake? 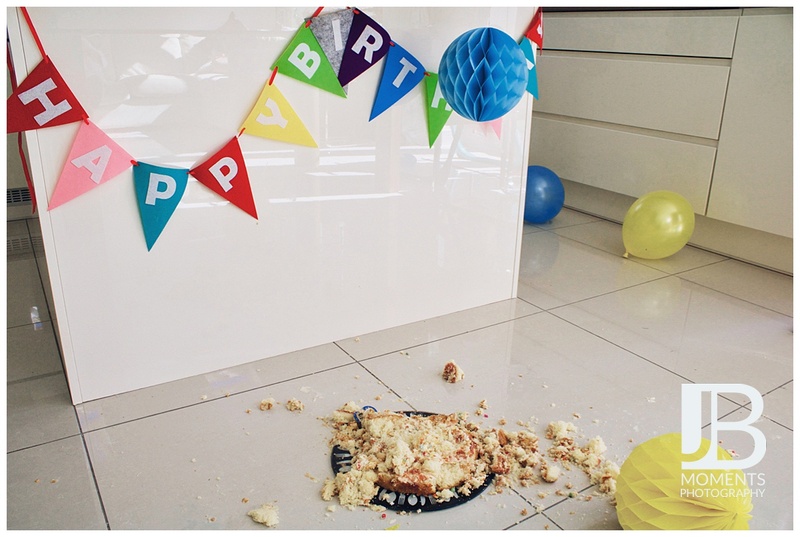 Cake Smashes are a big deal across the pond and for those of you that don’t know what one is (where have you been?). Allow me to enlighten you. 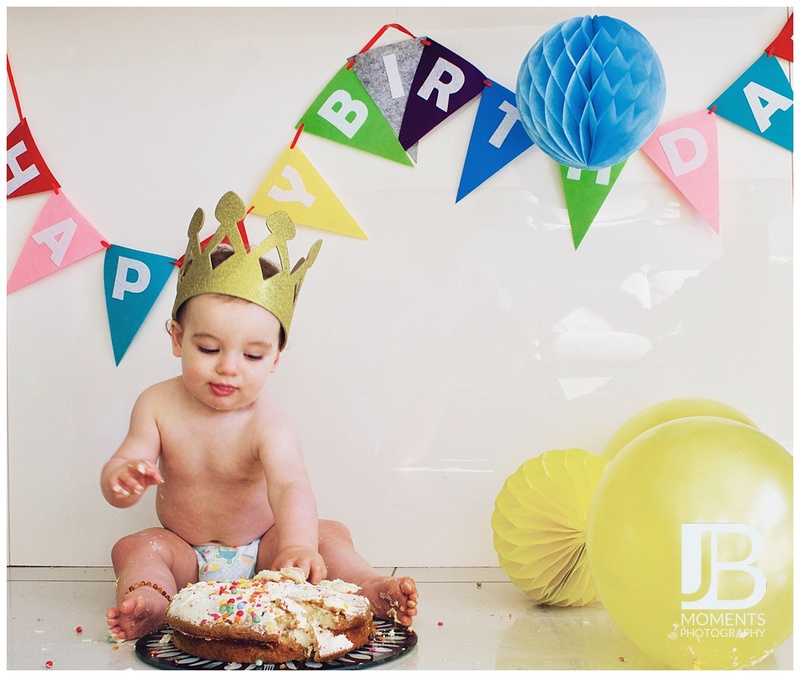 You take a child turning one, an elaborately frosted cake, a pretty studio set up and a photographer. 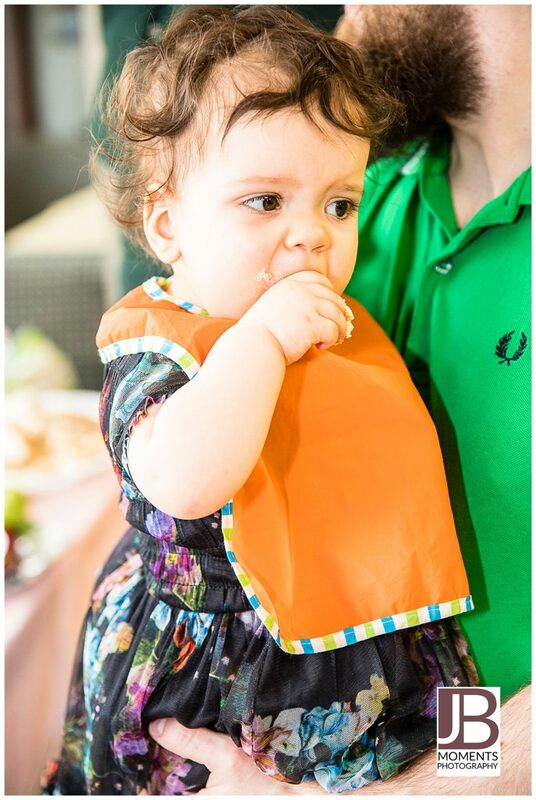 And get super cute milestone pictures of your little angel destroying, eating and smearing said cake EVERYWHERE. Okay, that’s what we want you to believe. But, come closer, closer still *whispers in your ear* I’m going to let you in on a little secret. They rarely go to plan. Allow me to illustrate with some behind the scenes footage of the above shoot. The little one is usually overwhelmed by the cake. In-between takes parents have to cajole them into eating refined sugar and often have to smear on faces and bodies. Side note – If using chocolate cake please make sure the cake is in the shot, otherwise it can look like a dirty protest!! I mean in this case, Dad (aka my little brother) definitely got something out of the shoot so it was all good. 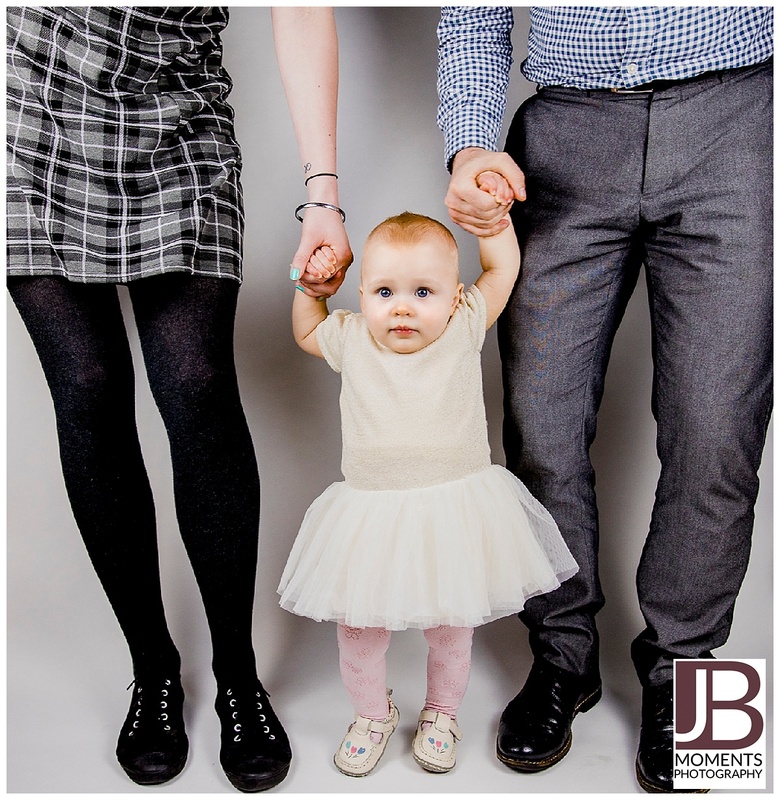 But all too often parents leave this type of shoot disheartened that their little one didn’t smash the cake up like everyone else’s did. Don’t feel bad mum and dad, very few kids do. YOU ARE NOT ALONE. That’s right – doughnuts! My love of doughnuts is very well documented by now. But they are also great for these milestone sessions as well. 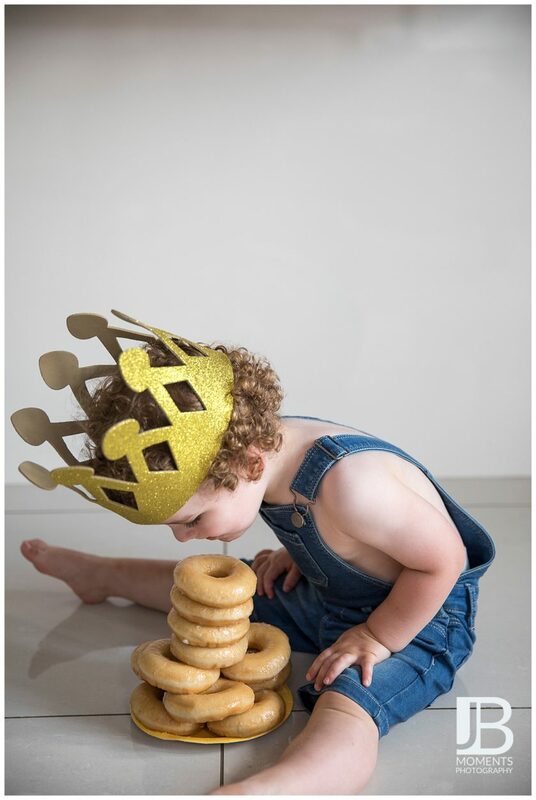 Kids don’t seem as overwhelmed by a stack of doughnuts as they do a large cake. They are handily sized for little hands and if you stack them up, kids like nothing more than to knock them down. So I mainly offer Doughnut Smashes. 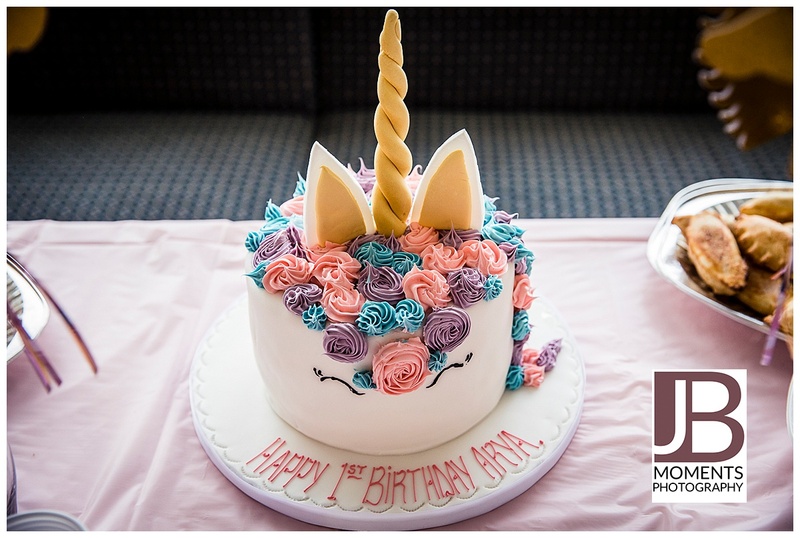 Arya combined unicorns and doughnuts for cuteness overload. 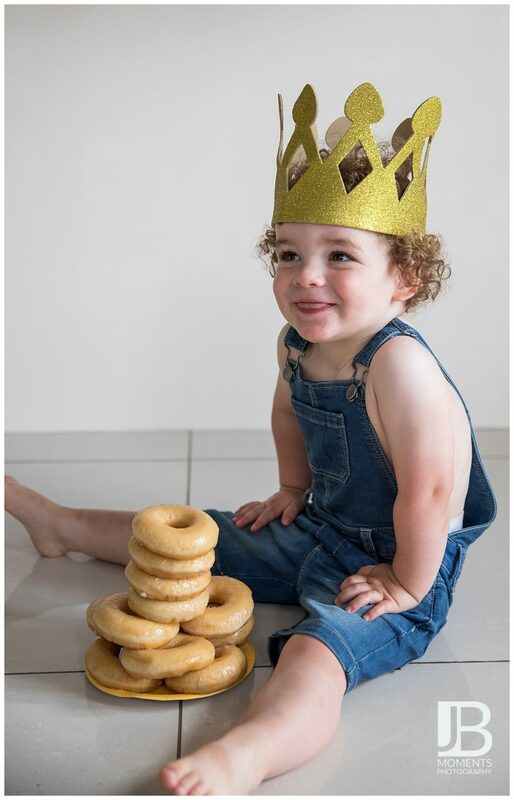 And Finnley proved that you can still enjoy a doughnut stack when you turn two! Look, mum & dad! No hands! 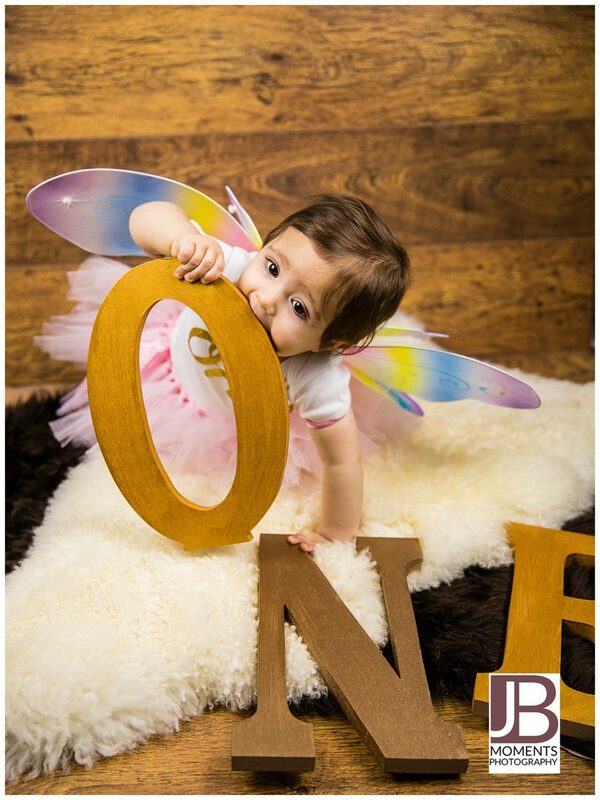 So, when considering a fun milestone photoshoot for your little ones, don’t just stop at cake. I always allow at least an hour for these sessions and explain to the parents that we are only likely to spend 20 – 30 minutes actually shooting. The rest of the time will be spent building the child’s confidence (or bribing them). 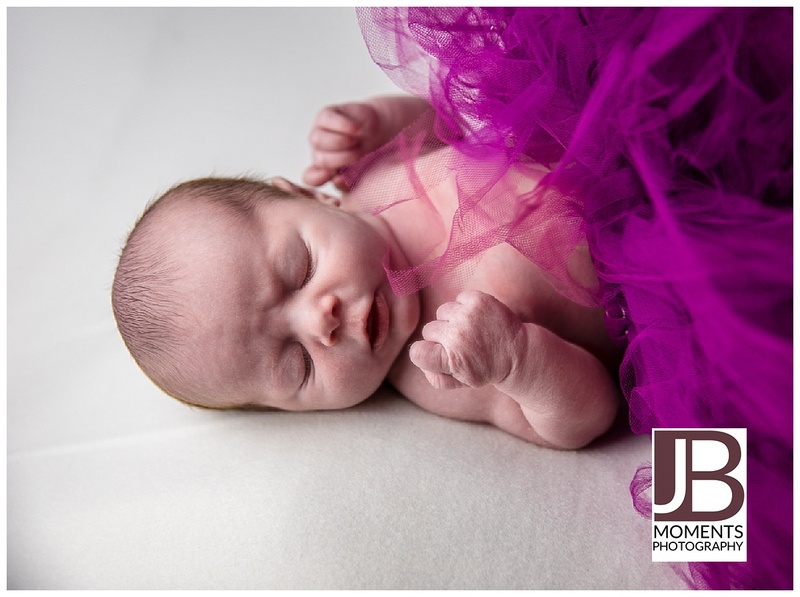 Emma was model ready as soon as she arrived. Dressed in the most adorable gold dress with pink tights and white shoes she was ready for her close up. 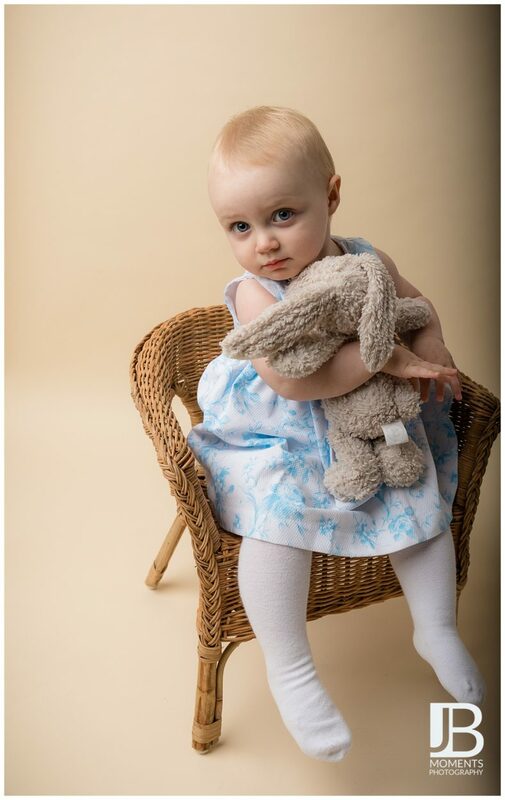 We started with some high key images focussing on Emma’s amazing blue eyes. She could sit really well by herself and stand with some assistance. So we drafted in mum and dad for a supporting role! These two? They’re my assistants. Like, literally can’t go anywhere without them! By this point, Emma was well into her stride and was showing off her bouncing skills. Although Emma wasn’t yet walking she had a super speedy crawl so, as with most children at this age, I used a variety of chairs as ways to ‘contain’ our little model. You never said I was going to have to work with bears! I’m upping my fee! 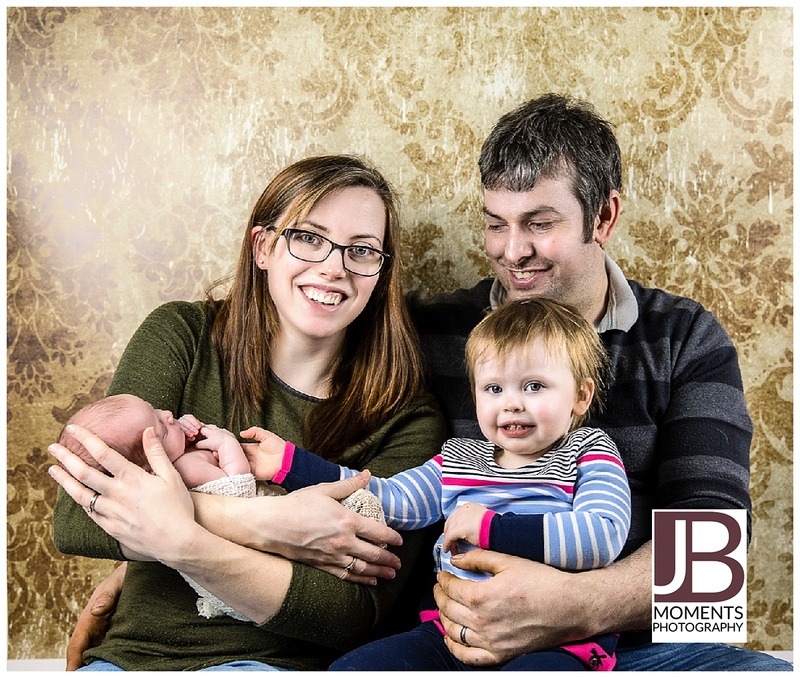 By the time we got to our last set up Emma was a seasoned professional and was thoroughly enjoying herself. 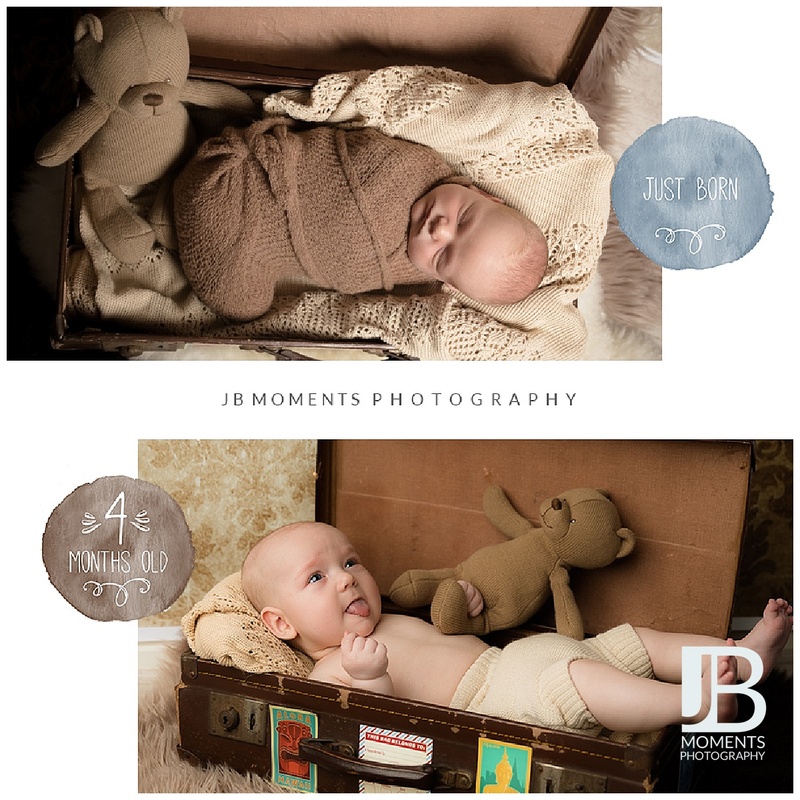 When you hire me to photograph your new baby, you aren’t just hiring me to photograph your cute wee bundle of joy. You are procuring me to capture that moment when unconditional love took on a real, tangible meaning. The moment you fully transition from being in love to being a family. 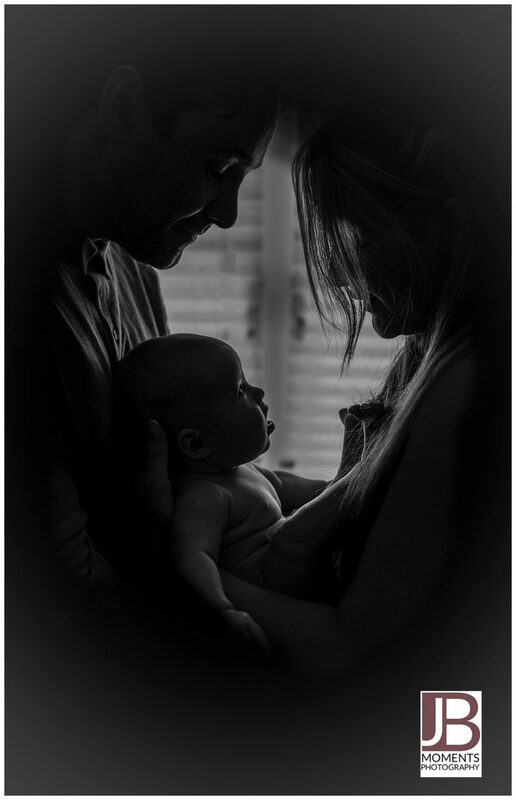 Gemma and Laurie had been looking to get baby Elle in for her first photo shoot. However, the Beast from the East conspired against us getting her in as early as we would have liked. 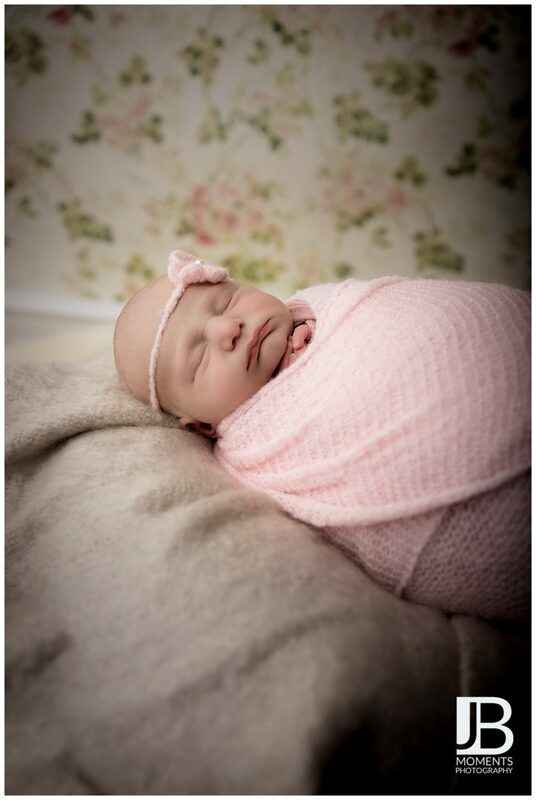 Those squishy, sleepy, swaddled newborn shots (like baby Sophie recently) work best when baby is up to 14 days new. 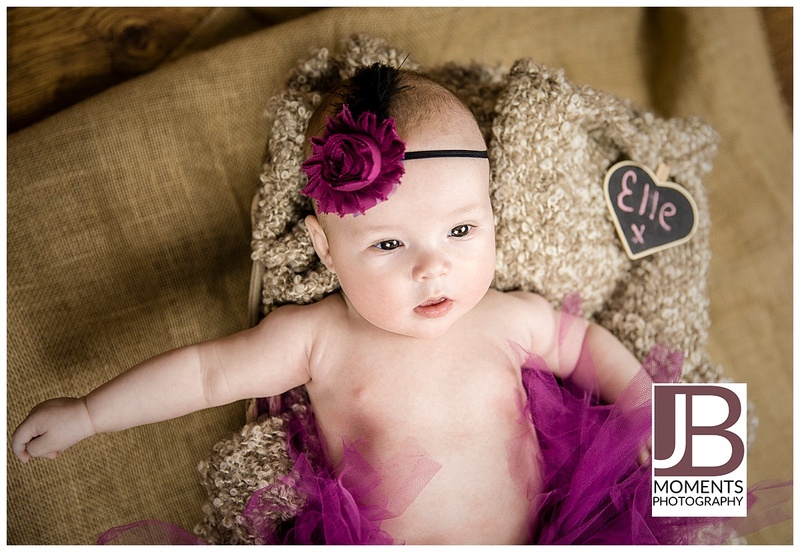 When beautiful Elle came in she was nearly 4 months new. 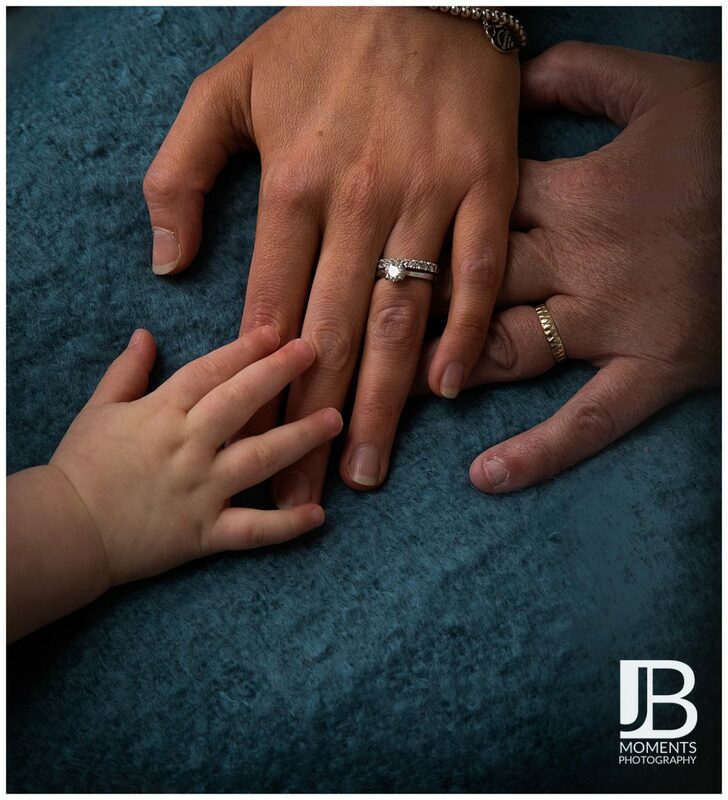 So I got to play more creatively and create gorgeous images for her parents to treasure. 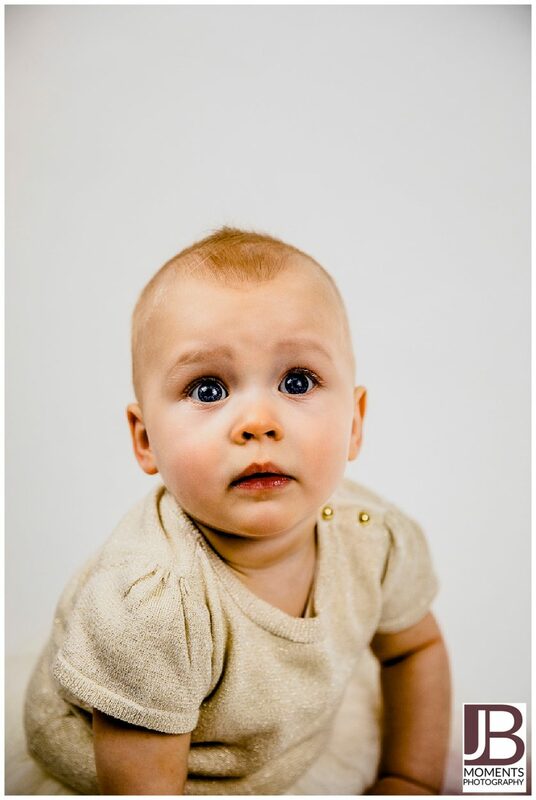 At almost 4 months Elle stayed awake for the entire session so I got to make the most of her amazing hazel eyes. 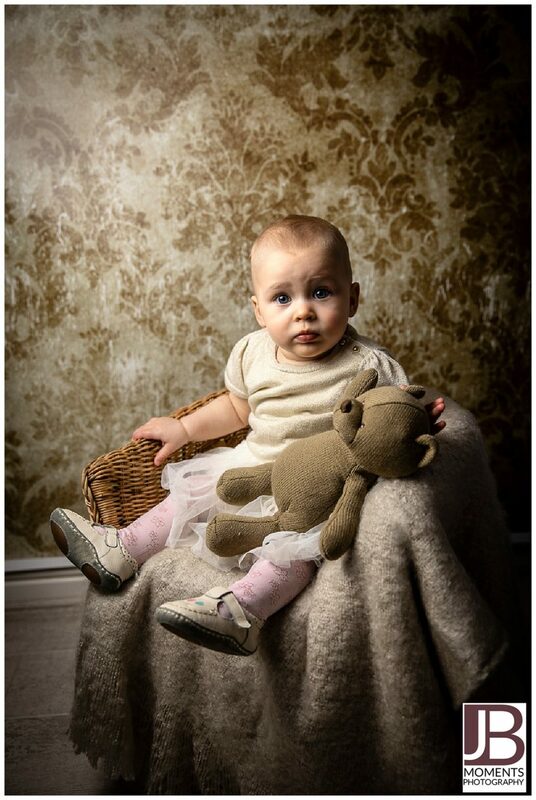 At 4 months she has also learnt to smile so I made sure we captured lots of those. If only there was a ‘fly on the wall’ camera capturing what Gemma and Laurie were doing behind me to make Elle smile. I could start up a whole new sideline extortion business!! Gemma and Laurie also bought outfits for Elle to wear. It was a great excuse to put her in some really cute summer outfits that she would be too big for when the summer eventually arrives (and by that I mean the one afternoon in August that we get in Scotland for Summer!). 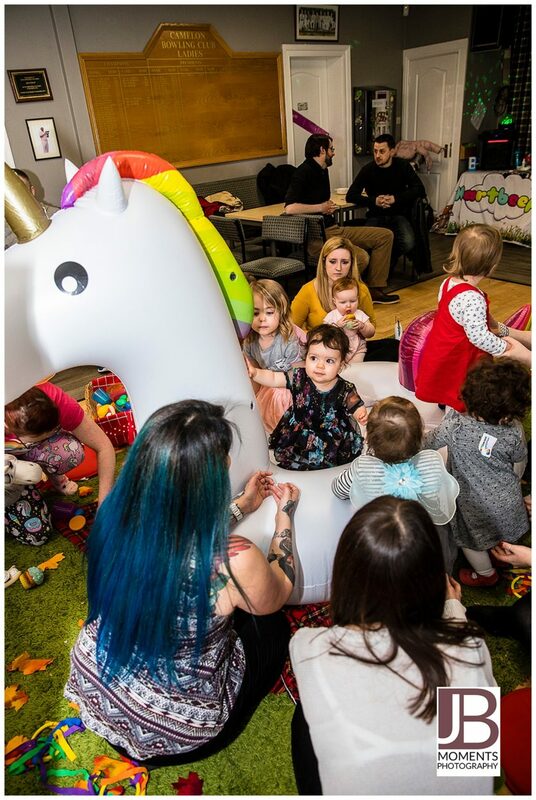 Unicorn-themed Pink Glitter Fest Party! 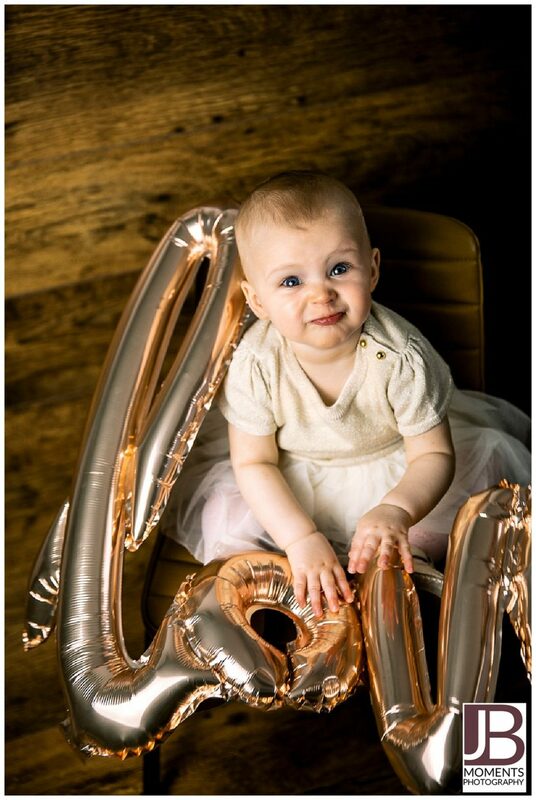 Last Sunday I was invited to capture the first birthday party of a very special client, Miss Arya Dickson (or should that be Princess Arya of House Dickson?). There was this gorgeous cake from Darrell’s Cakes in Falkirk. 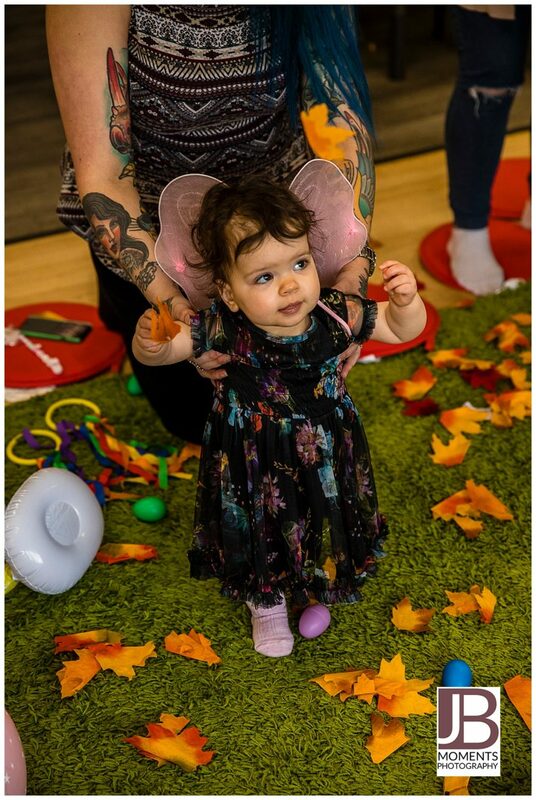 Arya had a great time with her wee buddies at a special birthday version of Hartbeeps. 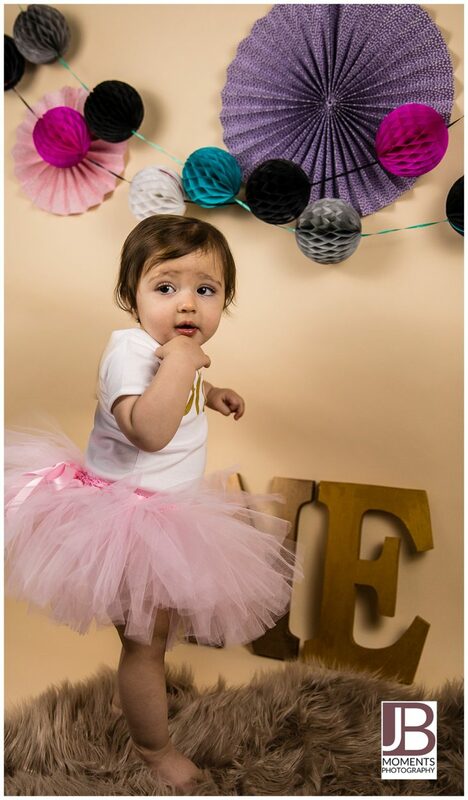 My fave picture from the party was Arya in her fairy wings. but there was also a picnic, Pom poms, puppets, the sun, wigs, disco balls, parachutes and yes…a giant unicorn! 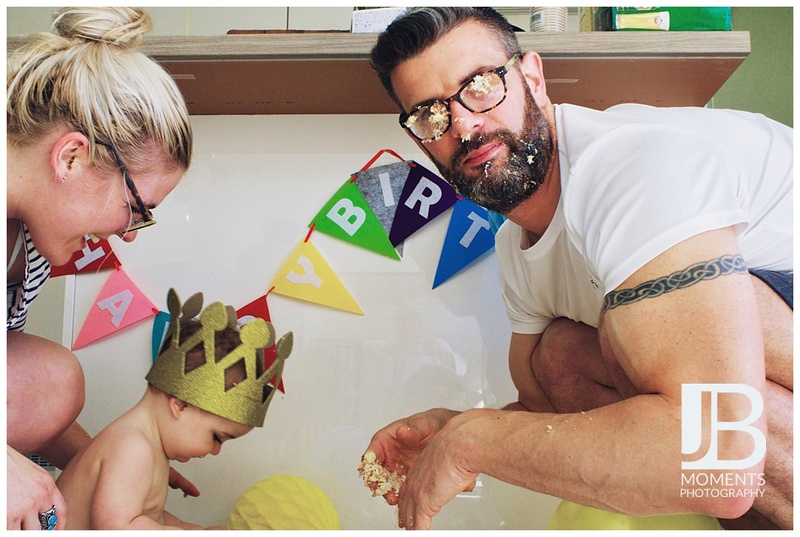 Arya had a blast and joined in during the whole 2-hour session and then finished up with a cuddle from daddy and a some of that delicious birthday cake. The next day Arya came into the studio for her Doughnut Smash. 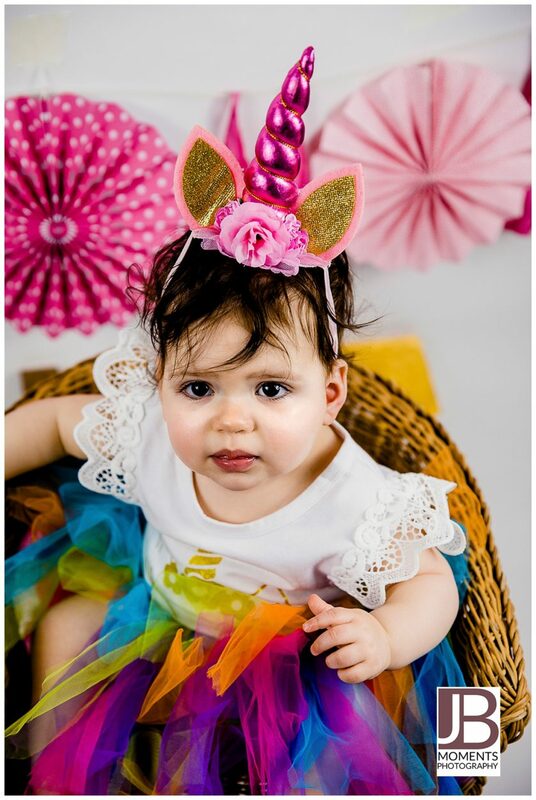 She was of course dressed as a unicorn. Always be yourself Arya. Unless you can be a unicorn. Then always be a unicorn. Now you may be wondering what a doughnut smash is? 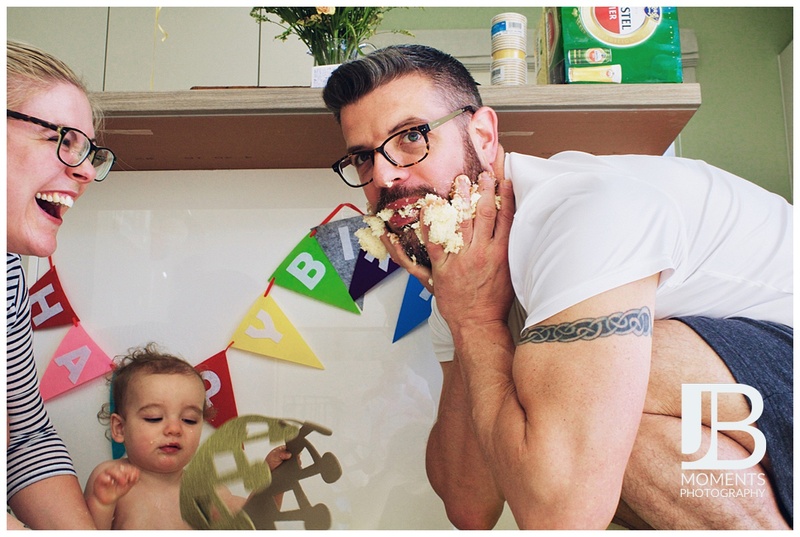 Heard of a Cake Smash? 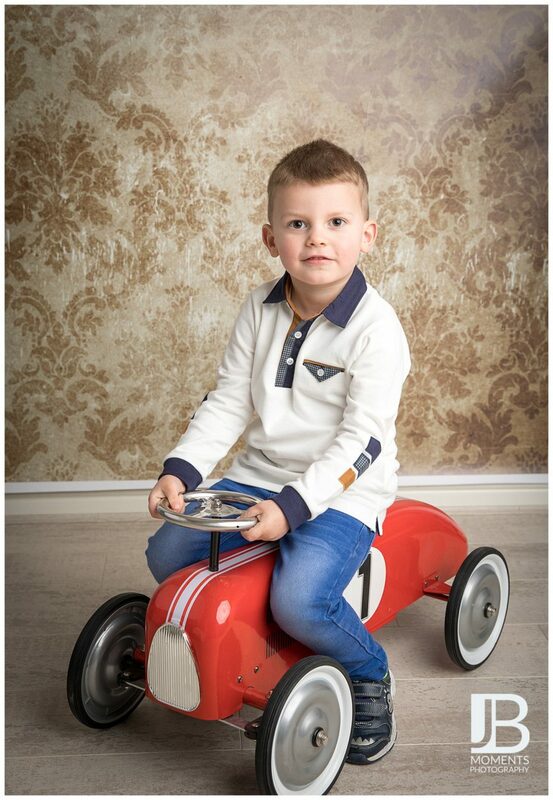 A trend that started in the US and has become very popular over here to mark a first birthday. You basically put a massive frosted cake in front of the birthday boy or girl and capture them destroying it and eating it! 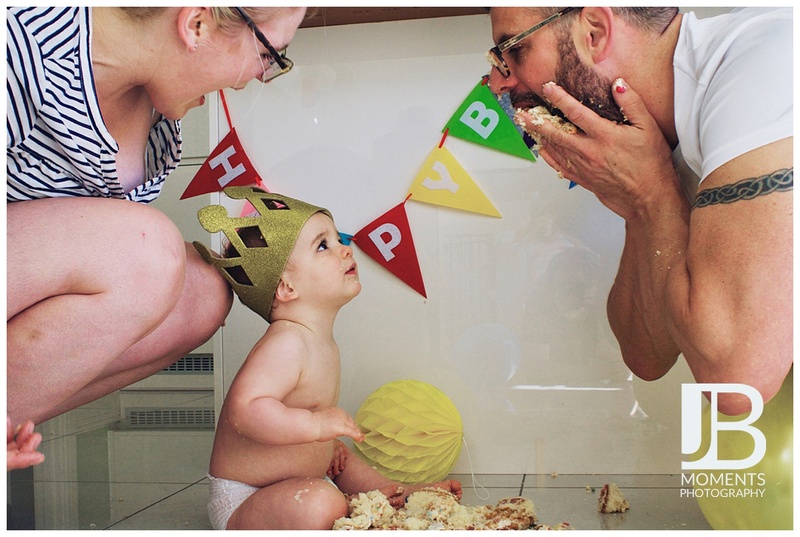 Great in theory…but, a lot of children are intimidated by the cake and in order to get the ‘shots’ the parents or the photographer often have to smash the cake and smear it on the child. 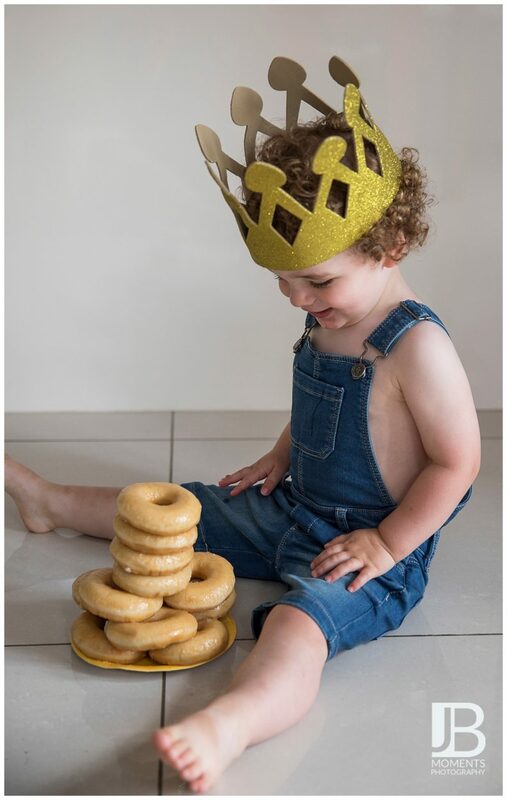 Doesn’t sound like much fun for the little one to me so I discoverd that a big pile of mini doughnuts is much more manageable for their little hands and more fun! Not sure this is what they meant by adding more ‘hole’ foods to your diet! 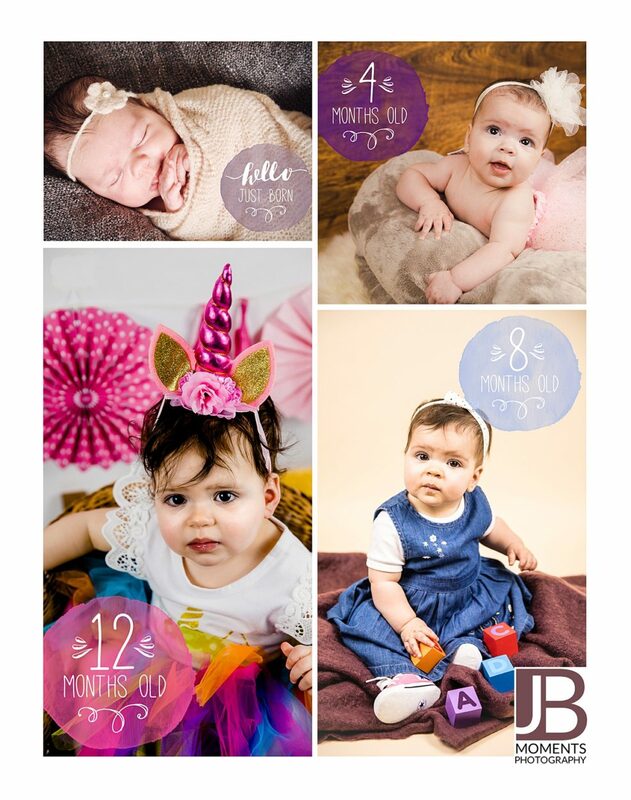 The reason why Arya is a very special client to me, (other than the rather obvious fact that she is such a cutie), is because she was my very first ‘grow with me‘ client and so I’ve had the pleasure of capturing her from 5 weeks new and watch her transform from a baby to a beautiful little girl. I look forward to capturing more of her moments. 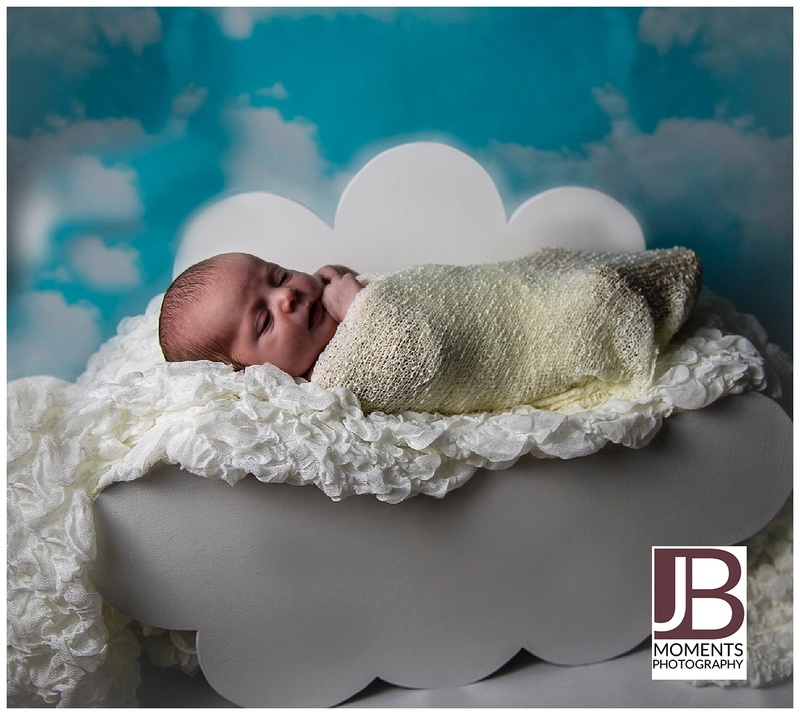 I try to make my home studio an oasis of calm and serenity when I have a newborn client in. Alas, when Miss Sophie paid me a visit it was anything but! You see on this particular morning Mr JB was in the lounge watching the TV, still recuperating from his extreme dog walking injury. The back garden is being remodelled to enable me to shoot family portraits outside and the gardeners were blasting their eighties power ballads out of portable speakers. That blended with the strains of Bloomberg from the TV. Bert and Ernie my two Frenchies were most put out to be shut in the kitchen, especially when they knew Mr JB was in the next room so they were barking especially loudly at every movement the gardeners made. If that all wasn’t enough, Miss Isla, Miss Sophie’s 22-month big sister decided to cry. A lot. You know what though? The moment mum Kate handed Miss Sophie to me none of that mattered. It literally just all faded away and all that was left was this gorgeous eight days new perfect little girl and me. I also had the chance to use my new cloud prop. It was made by the best wood turner in the business, my dad. 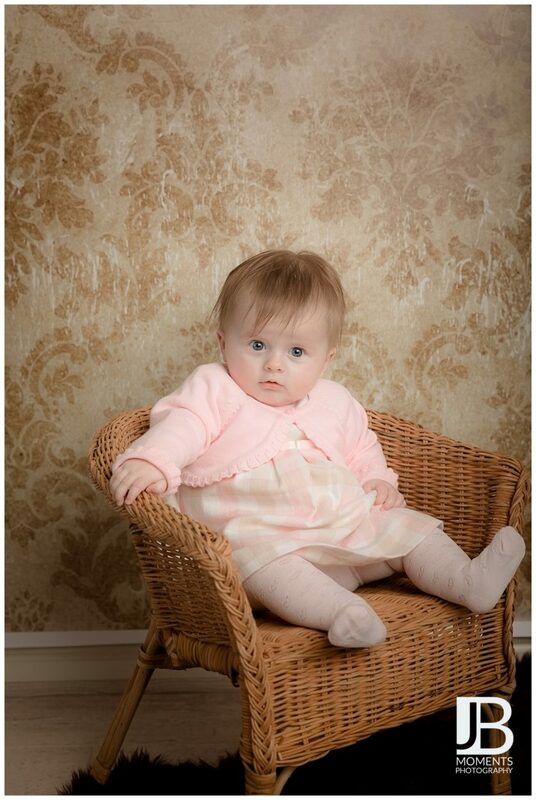 I had hoped to get some pictures of just Miss Isla as she had the most amazing huge blue eyes. When she did smile it lit up her whole face. But she was being quite shy and staying close to Daddy. Bearing in mind her little world had just been turned upside down with the introduction of a little sister she was doing remarkably well. You could see how much she already doted on her new sister (hopefully that will still be the same when she is 16 and Sophie is borrowing her clothes!!). Welcome to the world, Sophie. 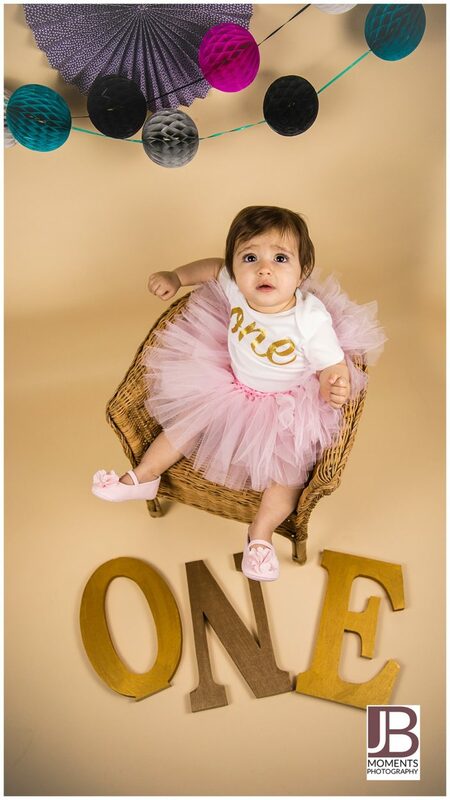 Studio Session – Olivia is One! Mum Alyson certainly thought the occasion warranted marking with a photo shoot and booked me to help capture the moment. Well, actually that’s a little white lie as Olivia isn’t quite walking yet so mum had to support her up to get this cute shot. That’s what Photoshop is for in post-production. 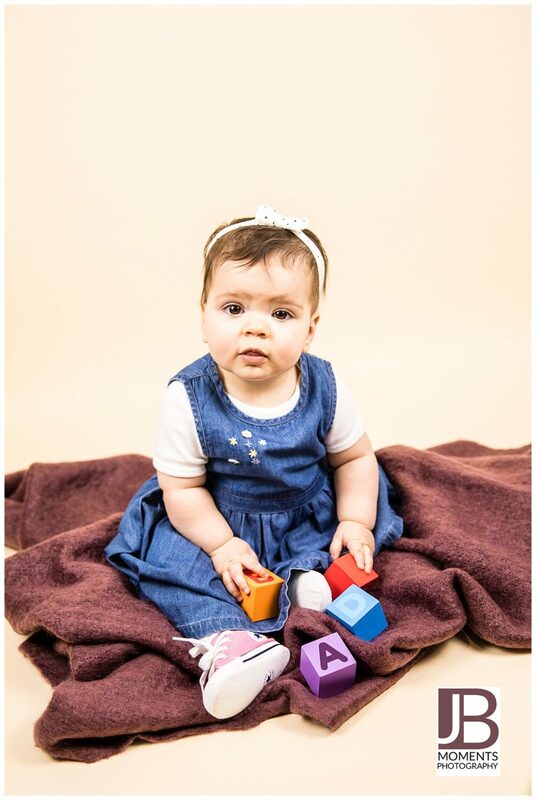 Olivia is a beautiful girl with huge brown eyes like milk chocolate buttons framed with long curly lashes. 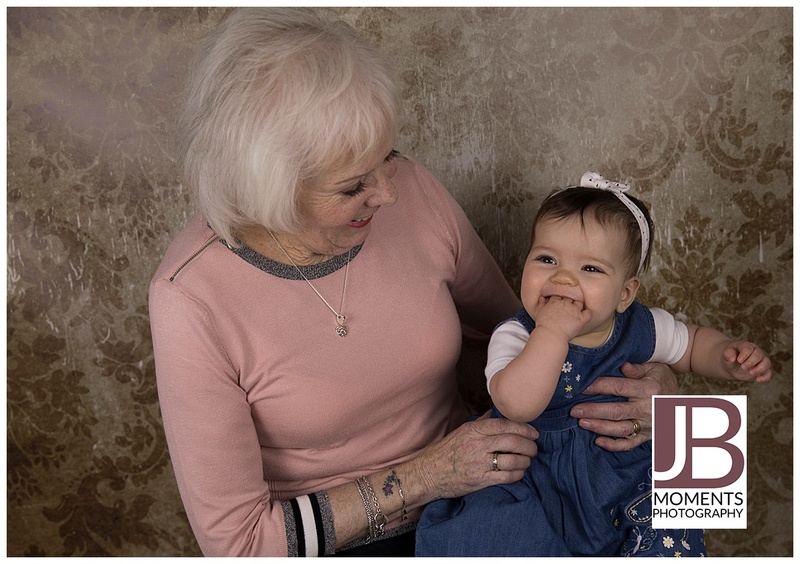 She was a little shy at first but mum started busting out the dance moves and that soon had her smiling and giggling. I’m not going to embarrass mum by disclosing what she was singing and dancing (what happens in the studio, stays in the studio! ), but mama got some serious moves! Smiles are always in fashion! Olivia was a little trouper but it can be a long session for little ones. When she started to flag a little I bought out my secret weapon…fairy wings and she was soon back on form. 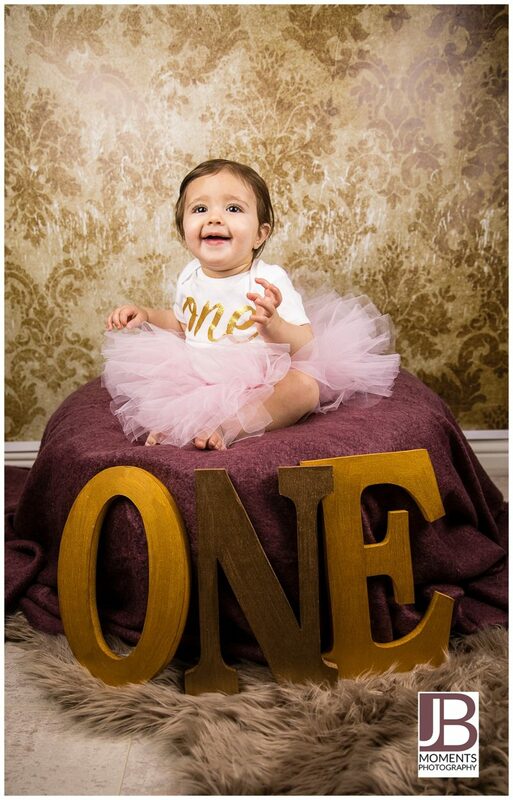 Olivia’s first birthday photo shoot was a smashing way to end 2017 in the studio. I can’t wait to share all the fun we are going to have in there next year! 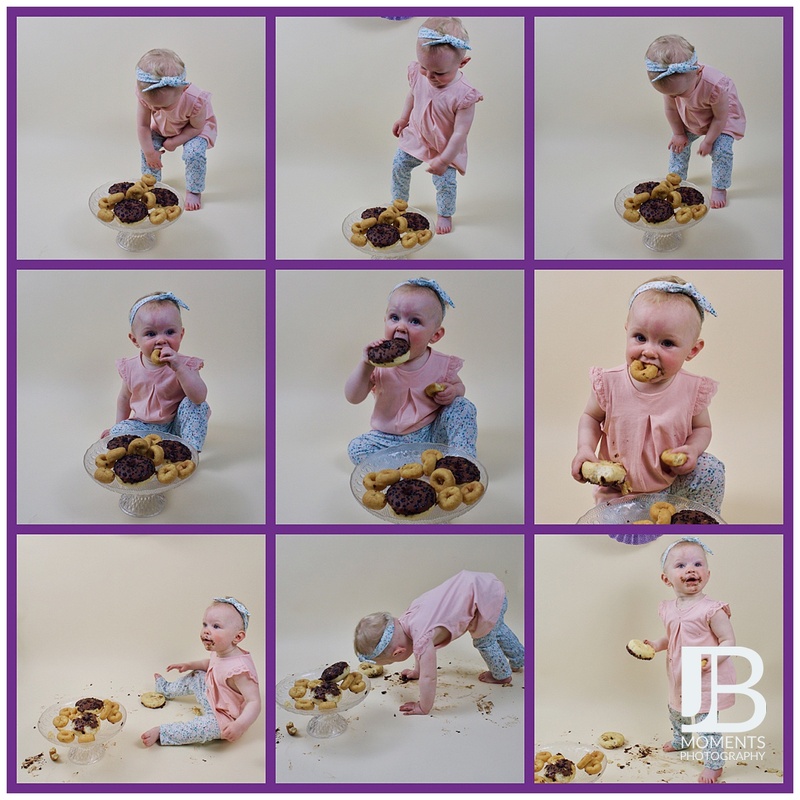 If you would like details on photoshoots for your little ones, including doughnut smashes then click here for more information and prices. Not sure what a ‘Grow with Me Session’ is? Check it out here. I can’t believe it’s been 4 months since I last had Miss Arya in the studio. Then she was learning to push her self up on her tummy. 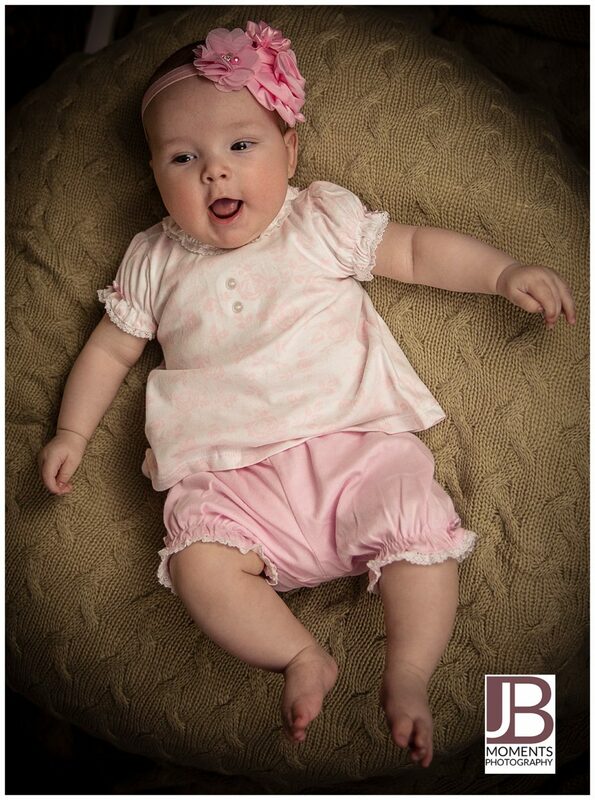 Fast forward 4 months and she is 8 months old and sitting up by herself. 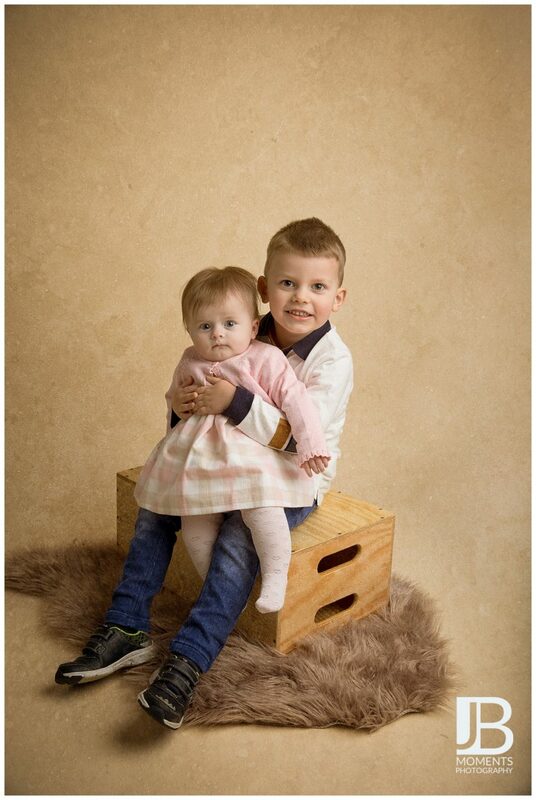 Looking totes adorable in her denim dress pink baby cons! I also wanted this shoot to have a ‘strong woman’ theme. 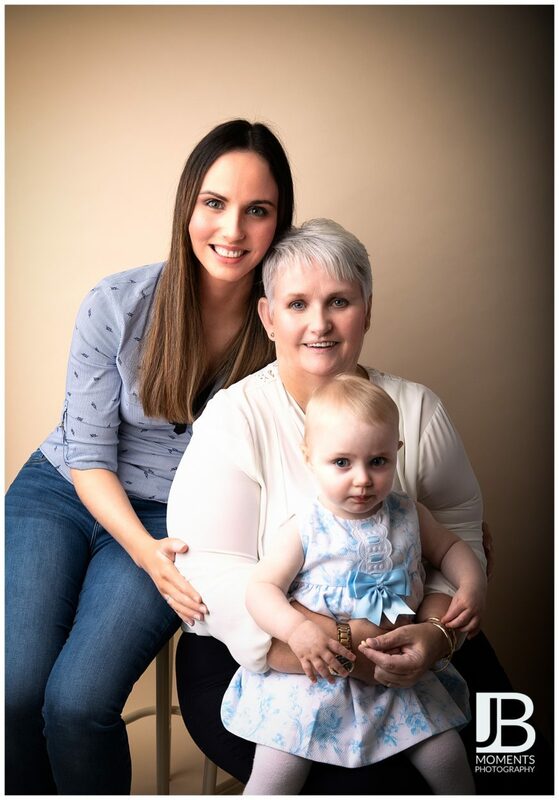 Partly because the open letter I wrote to all mums was still on my mind but mainly because Arya is the latest addition to a line of strong women in her family and I wanted her to have memories of that preserved as she grows up. Believe it or not this glamerous lady is Arya’s great grandmother I love how much they are enjoying each others company. Gorgeous! Call me sentimental but I love a generational photograph. 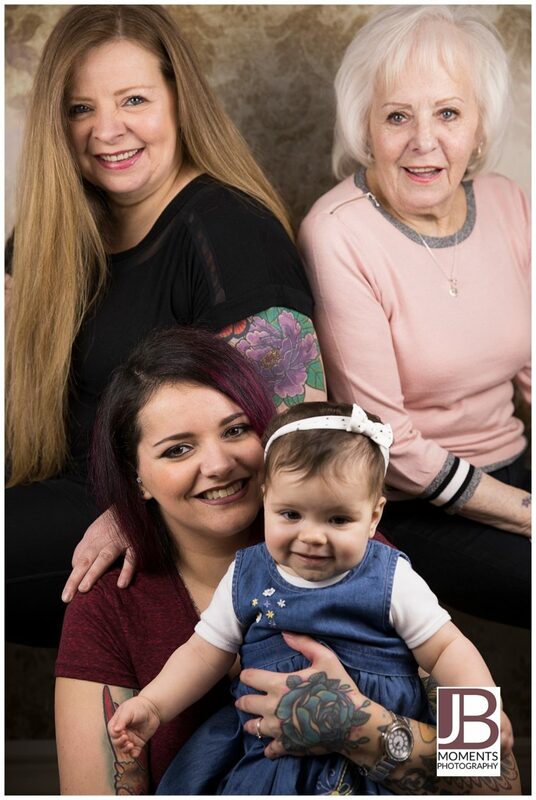 Here you can clearly see a connection between all 4 women and how each one takes some characteristics from the generation before. I can’t wait to capture Arya around the 1-year-old mark.